Whatever your moving needs may be, Meathead Movers will help you feel at home in Calistoga. Our professionally trained student-athlete movers and our moving concierge will be with you for the entirety of your move to Calistoga. 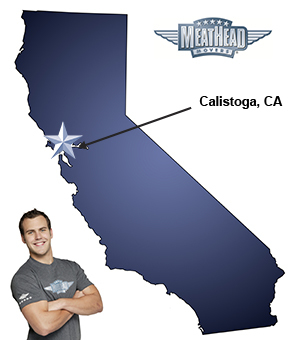 Welcome to Meathead Movers of Calistoga! If you are moving to or from anywhere in Calistoga, we are the moving company for you! Our professionally trained student-athlete movers and our moving concierge service are here to help you with every stage of your move in Calistoga. Experience the friendly charm of Napa Valley’s hidden gem, Calistoga. With relaxing mineral hot springs, world-class wines, and historical roots, Calistoga is a delightful city to visit. Calistoga is a great place to explore all that Napa Valley has to offer. Calistoga has something enjoyable for everyone. With plenty of trails, it’s a great city to explore by hiking, biking, or even hot air ballooning. If you’re looking for a little more thrill the Calistoga Speedway, Crazy Creek Air Adventures, Owen Ranch, and Safari West offer memorable experiences. Calistoga also has plenty of art, entertainment, and shopping opportunities. If you are considering moving to this beautiful Napa Valley town, Meathead Movers is here to help! in local, long-distance, and commercial moves to, from, and within Calistoga. We also provide reliable packing, storage, on-site relocations, and our distinctive moving concierge service. In fact, you can see what your neighbors in Calistoga have to say about us! With our 100% satisfaction guarantee, the only thing you have to lose is the stress that comes from moving! So contact us today for a free moving quote and to learn how we can help you on your next move! Moving to Calistoga? Here are some helpful resources.